Using only an arcade push button, an Arduino, a 74HC595 (shift register), and the SPO256 (narrative) anyone can create a stand-alone speech synthesizer just like Stephen Hawking. 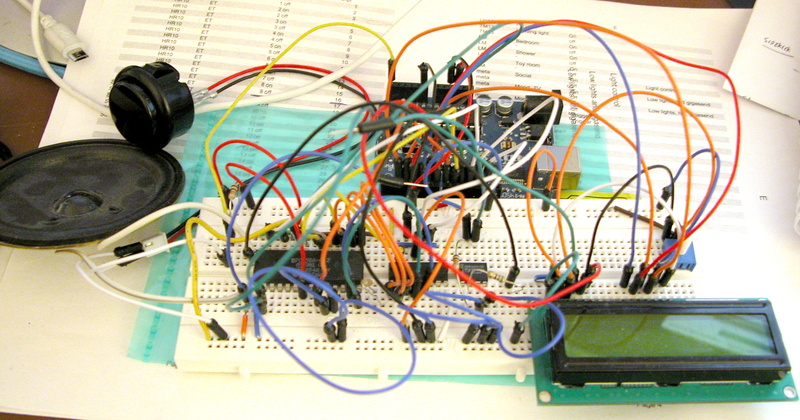 In principle, the circuit is very simple - the Arduino controls both the LCD and the speech chip using standard code. 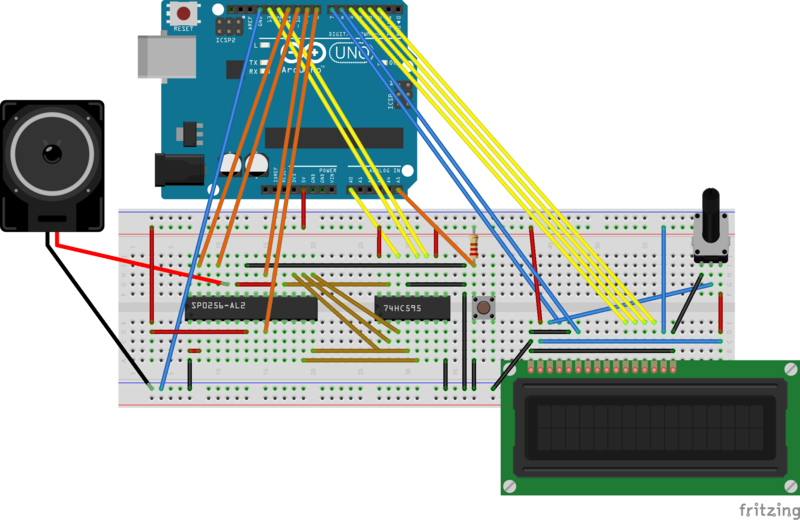 There's a shift register to get more effective usage out of the Arduino's (limited) pins. (For those unaware, the shift register lets me control 6 data lines of the SP0256 with just 3 wires.) I had planned on repeating the trick with the LCD, but didn't need to. In fact, it would be possible to add the control lines for the SP0 (ALD, LRQ) to run from the same shift register. Note: The photograph shows my upgraded version with a 741 op-amp providing amplification. However, it turns out the SP0 is powerful enough to drive the speaker, and so is a little redundant. Maybe I'll add a volume control though! And an other pot to control the speak of the interface.